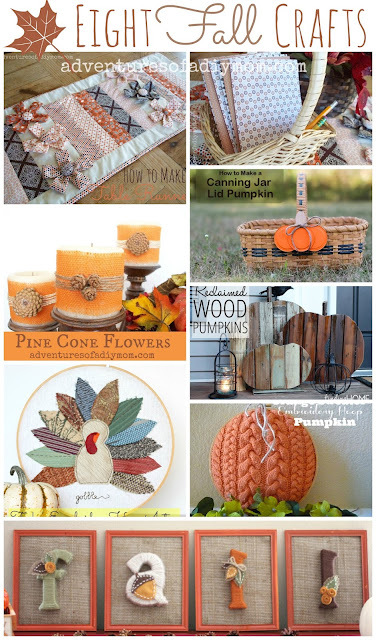 I haven't made any fall crafts this year, so I thought I'd do a little roundup with some past projects as well as others that I'd like to eventually do. 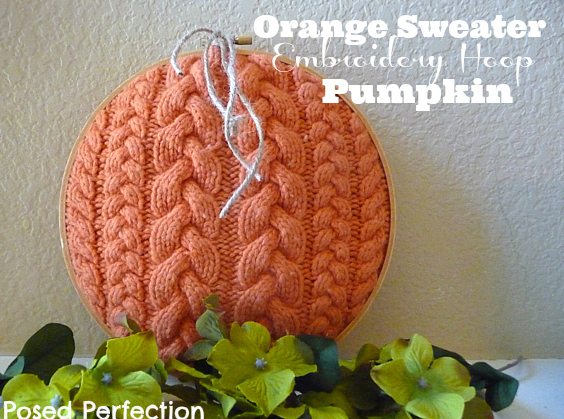 I actually have an old orange sweater - so I must do this soon! 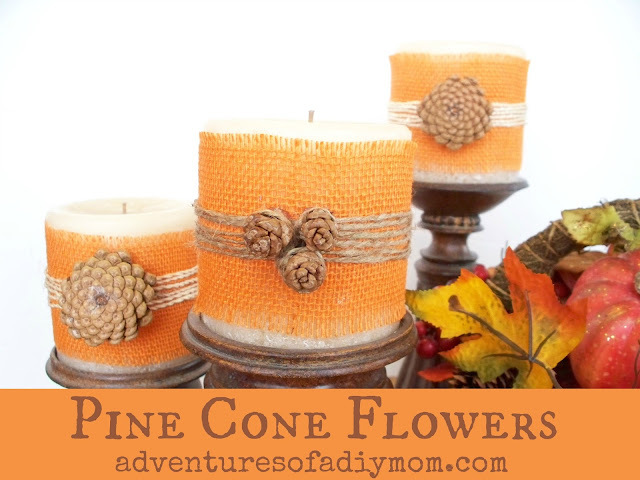 Last year I made some pinecone flowers. I kept them and put them up again this fall. 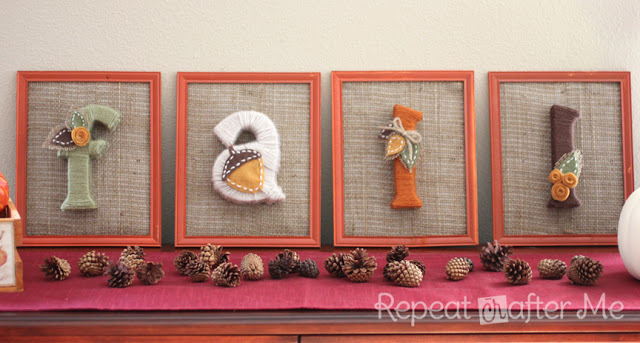 I love these yarn wrapped fall letters by Repeat Crafter Me. I especially love the embroidered felt embellishments - so cute! 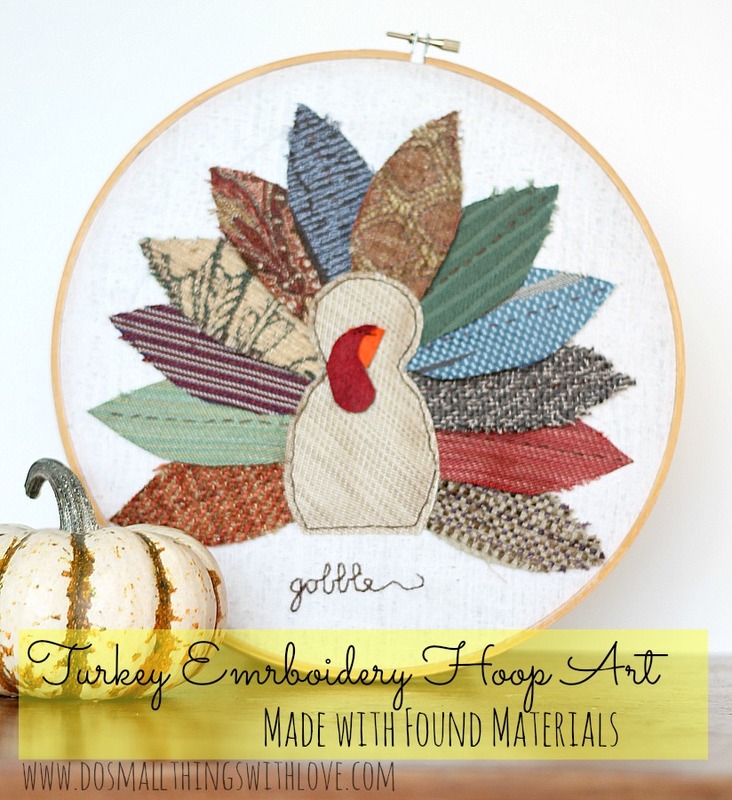 Turkey Embroidery Hoop Art by Do Small Things with Love - love those colors! I love the simplicity of this! And you know I always have canning lids hanging around. 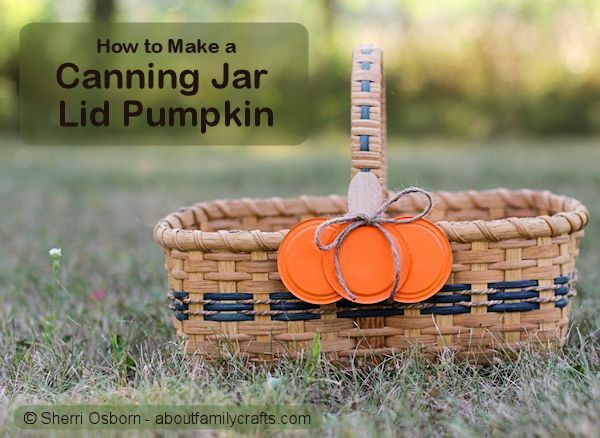 Canning Jar Lid Pumpkin by About Family Crafts. 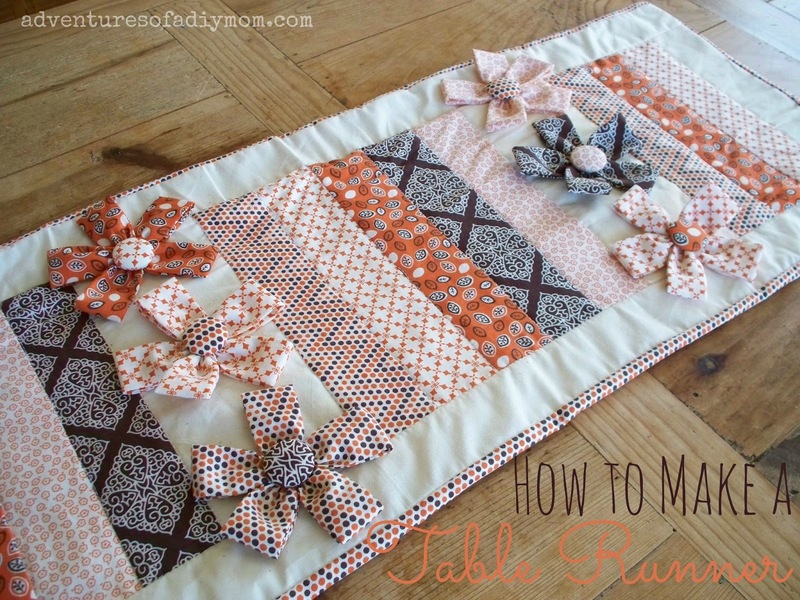 Last year I made this fall table runner - and I shared a tutorial so you can make your own! I love rustic... and these reclaimed wood pumpkins fit the bill. 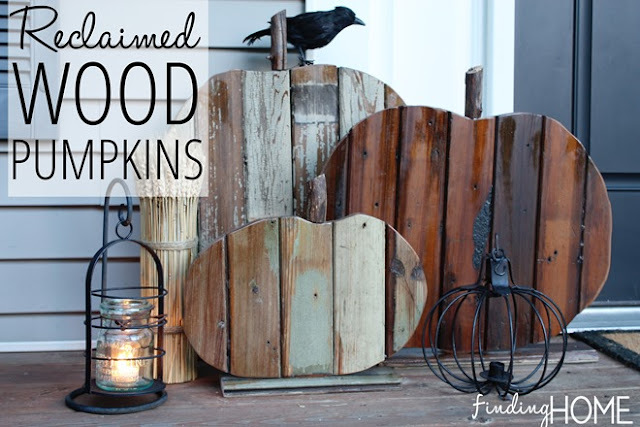 Head over to Finding Home to see how she made them. Another project from last year was our Thankful Journals. We pulled them out a couple weeks ago and the kids had fun reading them. There's still plenty of room, so I plan to encourage them to add more thankful thoughts. 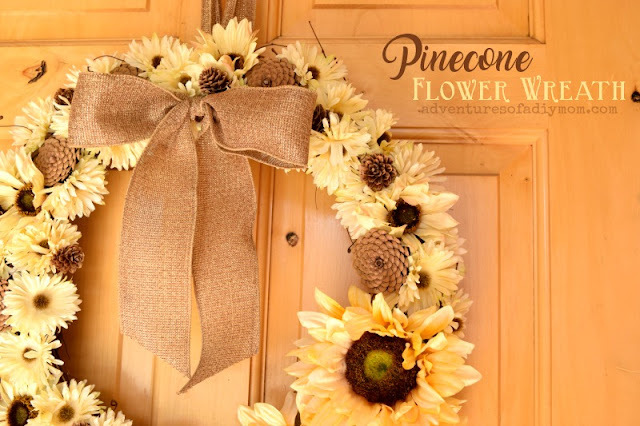 Make a fall wreath with flowers and pinecones.